A member of the prestigious National Speaker's Association with more than 15 years of experience as a professional public speaker, Laura has a knack for delivering engaging and informative presentations. She's spoken to groups ranging from 12 to 1200 on a wide range of topics, from office productivity to motivation and empowerment to mindfulness and meditation. 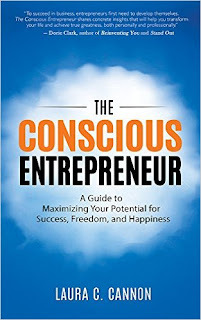 Her true passion as an author and speaker lies in bridging the gap between business and spirituality, finding practical, down-to-earth applications for timeless universal wisdom. She has been a guest speaker for colleges, civic organizations, businesses, and associations. 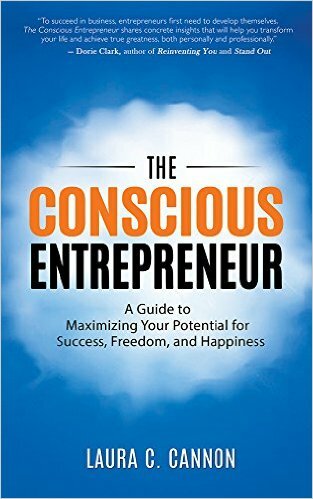 Thank you so much for featuring Laura's book "The Conscious Entrepreneur". I hope your visitors enjoyed learning about Laura and her book. Yes Bonnie. Readers would definitely enjoy it.